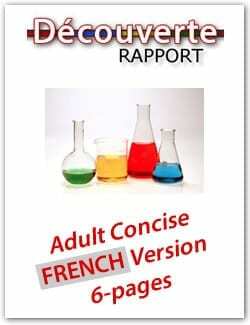 The French concise adult version of the Discovery Report provides a full personality test (assessment) along with a resulting 6-page DISC profile report online. Our DISC profiles are highly accurate and easy-to-understand. The Discovery Report is scored based on an online personality assessment. The assessment takes about 15-20 minutes to complete. Your Discovery Report will help you to understand yourself and how to adapt to relate better to others. DISC profiles are beneficial for business use and personal use. You will learn about your strengths, keys to be your best, how you work in a team environment and tips to improve your ability to relate with others.